It's time to stop procrastinating and make your YouTube goals come to become a reality! This week, we're digging into starting a YouTube Channel FOR BEGINNERS. That's right. I'm breaking it down step by step so you can get your channel started for success right away. I know you want to know how to start a YouTube channel in 2019 so I'm sharing YouTube channel tips to help you grow from day one. No more throwing spaghetti at a wall to see what sticks! 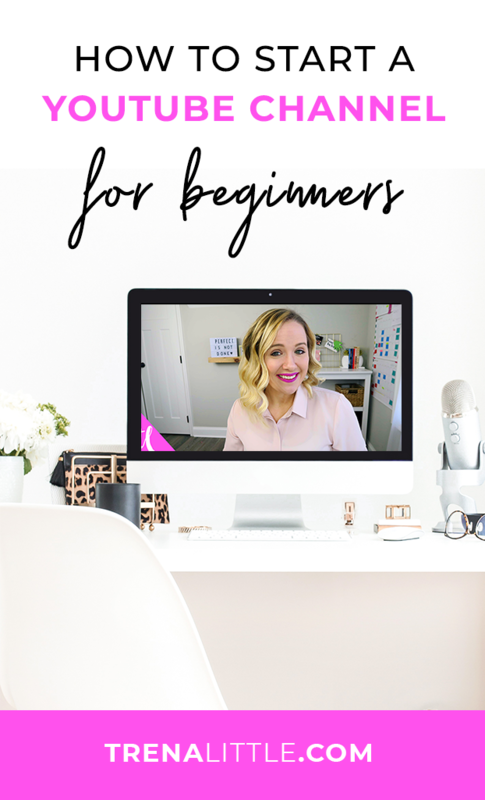 Ready to jump into how to start a YouTube Channel Step by Step? Let's go! It's time to share with the world that you've created a new video! Sure, you could just share a still photo but where's the fun in that? And more importantly, how engaging would that actually be for your audience? In this video, we're going to dig into how you can post your videos on everyone's favorite platform, Instagram. Yep. It's the How to Share YouTube Videos on Instagram tutorial that you never knew you needed. But this Instagram hack is going to make a world of difference in your marketing! The best part? It's so easy! Here's the thing. The content you create in your video is so important for viewers to hit that subscribe button and to keep coming back but when it comes to getting people to actually find your video? That's when YouTube Tags really come into play. This week, we're going to dig into The Secret To YouTube Tags For More Views. In other words, I'm going to be teaching you how to tag your youtube videos to get more views or how to tag your YouTube videos better. By the end of this video, you'll be well equipped with the info you need to get more views. So what are you waiting for? Let's dig into how to tag YouTube videos in 2019!